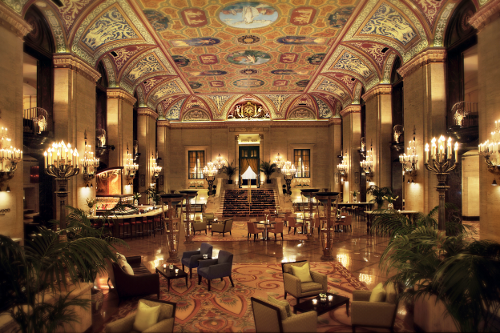 ISPSD 2018 will host our attendees and guests from May 13th through 17th, 2018 at the beautiful, historic Palmer House Hilton Hotel in the heart of downtown Chicago, Illinois. As per ISPSD tradition, the conference, exhibitions, and welcome banquet will be held on-site at our conference venue. The Palmer House Hilton is a Historic Hotel of America member, located in Chicago city's central downtown Loop Area. There have been 3 buildings constructed over the current site since the first opening on September 26, 1871. The first, known as the Palmer, was built as a wedding gift from Chicago business magnate Potter Palmer to his bride, Bertha Hilton Honore. Only 13 days after its grand opening, however, the Palmer fell victim to the Great Chicago Fire. 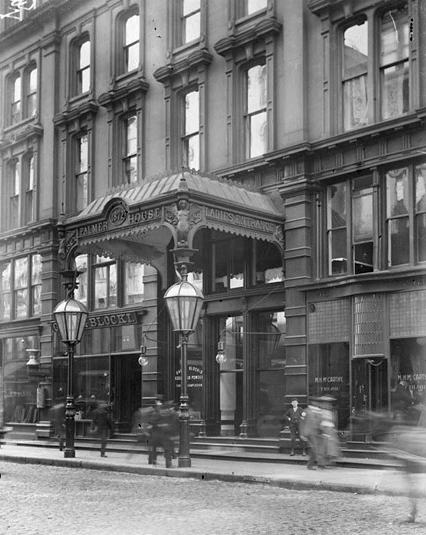 On November 8, 1873, the newly rebuilt Palmer House welcomed its first guests, marking the beginning of what would become Chicago's longest continually operating hotel. In the following years, Bertha Palmer began decorating the Palmer House with paintings and other pieces inspired by her friendship with famous French impressionist Claude Monet. She eventually accumulated the largest collection of impressionist art outside of France. The Palmer House was bedecked with garnet-draped chandeliers, Louis Comfort Tiffany masterpieces, and a breathtaking ceiling fresco by French painter Louis Pierre Rigal. By the turn of the century, the Palmer House had become Chicago’s liveliest social center, hosting a long list of prominent figures including those ranging from U.S. presidents to Charles Dickens and Oscar Wilde. 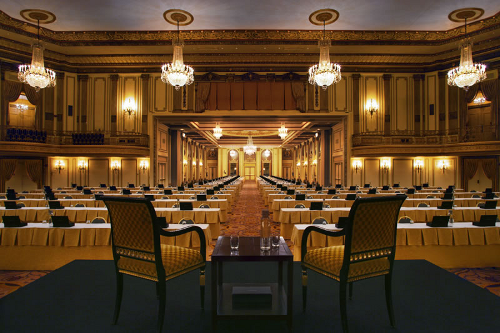 Following the conversion of Golden Empire Dining Room into an entertainment epicenter in 1933, the Palmer House's performance halls has hosted legendary entertainers including Frank Sinatra, Judy Garland, Ella Fitzgerald, Harry Belafonte, Louis Armstrong, and Liberace. In December 1945, Conrad Hilton bought the Palmer House and it was thereafter known as the Palmer House Hilton. From 2007 to 2009, the Palmer House underwent a significant renovation to ensure that it included all of the conveniences and comforts expected by its 21st century guests while also preserving its significant history. For transportation information please see our Local Transportation page.